A very nice shot of the Pacific Northwest with minimal cloud cover. Notice the Willamette Valley in Western Oregon. Pacific Northwest from space. Vancouver Island is prominent in the top center of the photo. In the lower center the Willamette Valley can be seen running north from southern Oregon up to Portland. Web tool- How Many People are in Space? Posted on February 9, 2017 February 9, 2017 Categories Science, Technology, UncategorizedLeave a comment on Web tool- How Many People are in Space? Sentinelese on the beach of North Sentinel Island fiercely defend heir home. North Sentinel Island is in the Bay of Bengal, in the waters east of India. The Sentinelese inhabit the island and have an estimated population of anywhere from 50-500. They are aggressively defensive of their island and fend off visitors with arrows and stones and have even killed to keep visitors away from their home. After multiple failed attempts to communicate with the Sentinelese, the Indian Government has declared North Sentinel Island off -limits and has imposed a 3 mile no-trespassing boundary around the island. North Sentinel Island,- The Indian government has officially closed the island and made it illegal for anyone to visit – It is dangerous to outsiders trying to make contact and potentially devastating to the Sentinelese- who have no immunities to diseases such as smallpox, measles, and influenza. In 2007, two fishermen fell asleep in their boat, anchored with a rock tied to a rope. The anchor failed and the boat drifted near the island and inside the coral reef. The Sentinelese promptly killed the men andburried them in shallow graves, giving others a grim warning sign to stay away from North Sentinel Island or risk death! The dense forest canopy makes it impossible to get an accurate count of the tribe. The Sentinelese survived the 2004 Indian Ocean earthquake and its after-effects, including the tsunami and the uplifting of the island. Three days after the event, an Indian government helicopter observed several of them, who shot arrows and threw stones at the hovering aircraft. Although the tsunami disturbed the fishing grounds of the Sentinelese, they appear to have adapted. Since 1947, India has administered the island as part of the Andaman and Nicobar Islands Union Territory. However, because there has never been any treaty with the people of the island, nor any record of a physical occupation whereby the people of the island have conceded sovereignty, the island exists in a curious state of limbo under established international law and can be seen as a sovereign entity under Indian protection. It is, therefore, one of the de facto autonomous regions of India. The canopy of vegetation covers almost everything on North Sentinel Island, even when looking at the island from satellite view, making it difficult to get an accurate count of people living on the island or seeing how they live. Posted on July 20, 2016 July 20, 2016 Categories Environment, History, Interesting, Politics, Science, strange, Travel, Uncategorized, World AffairsTags Most isolated people on Earth, North Sentinel Island, North Sentinel Island inhabitants survive tsunami, Sentinelese, Tribe defends island with spears and arrows, World's most isolated islandLeave a comment on The Sentinelese- perhaps the most isolated people in the world! Prince gives the Coachella 2008 audience a treat and does a special cover of Creep, by Radiohead. He definitely makes this version his own and like great cover songs, it isn’t simply him singing/playing the original, it is beautiful in a new, artistic way. One of the most beautiful “covers” ever! It stands on its own as a masterpiece! When an alleged panhandler spotted a Massachusetts State Trooper heading in her direction, she expected to be asked to move along, not treated to a meal. Trooper Luke Bonin from the State Police Dartmouth Barracks was reportedly driving along when he spotted a woman in Fall River holding a sign, asking for help. According to a Facebook post by Massachusetts State Police on the deed, that was when Bonin decided to continue driving, and picked up two meals for them to eat. 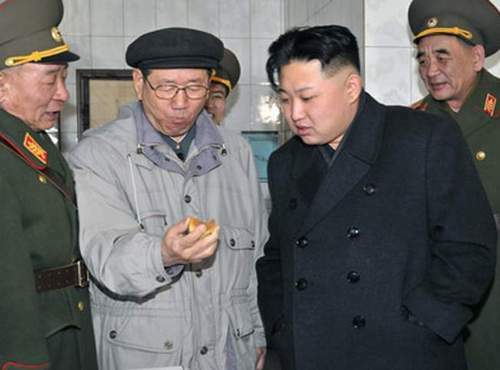 Instead, he pulled out the meals and asked her to take her pick. Adam Levine does everything right! Normally, my insecurities, ingrained into my DNA, and giving me an excuse to hate those guys who seem perfect, would not allow me to show any respect or give any praise to the extremely talented and super-nice-guy, Adam Levine. He is just too cool and seems to be nice to everyone he meets. He covers Prince’s Purple Rain for Howard’s birthday bash and the performance may be his best ever! Posted on May 14, 2016 May 14, 2016 Categories Americana, History, Interesting, strange, fascinating, Music, UncategorizedTags adam levine, adam levine does everything right, Adam Levine does his version of the defining Prince song Purple Rain, adam Levine Purple Rain, Purple RainLeave a comment on Adam Levine does everything right! Prince does “Creep” at 2008 Coachella- Beautiful! Posted on May 14, 2016 May 14, 2016 Categories Americana, Arts, Interesting, strange, fascinating, Music, UncategorizedTags Prince does "Creep" at 2008 CoachellaLeave a comment on Prince does “Creep” at 2008 Coachella- Beautiful! In the 50-plus years that humans have been zipping through space more than 6,000 satellites have been launched. While some have made their way back down to Earth, more than 3,600 remain in orbit. It’s estimated that between 100 and 150 tons of space junk re-enters our atmosphere each year — with the vast majority of it burning up before it hits the ground. Scientists are looking to develop methods of removing some of the space junk that’s currently in orbit. Some worry that if we don’t act fast enough, the Kessler syndrome will be observed. This would occur if space debris continues to pile up, eventually reaching the point where it would be impossible to launch new objects without creating a collision. In April of 1955, shortly after Einstein’s death, a pathologist removed his brain without the permission of his family, and stored it in formaldehyde until around 2007, shortly before dying himself. In that time, the brain of the man who has been credited with the some of the most beautiful and imaginative ideas in all of science was photographed, fragmented —small sections parceled to various researchers. His eyes were given to his ophthalmologist. These indignities in the name of science netted several so-called findings—that the inferior parietal lobe, the part said to be responsible for mathematical reasoning was wider, that the unique makeup of the Sulvian fissure could have allowed more neurons to make connections. And yet, there remains the sense that no differences can truly account for the cognitive abilities that made his genius so striking. Along with an exhaustive amount of information on the personal, scientific, and public spheres of Einstein’s life, An Einstein Encyclopedia includes this well-known if macabre “brain in a jar” story. But there is a quieter one that is far more revealing of the man himself: The story in which Helen Dukas, Einstein’s longtime secretary and companion, recounts his last days. Dukas, the encyclopedia notes, was “well known for being intelligent, modest, shy, and passionately loyal to Einstein.” Her account is at once unsensational and unadorned. One might expect a story of encroaching death, however restrained, to chronicle confusion and fear. Medically supported death was a regular occurrence by the middle of the 20th century, and Einstein died in his local hospital. But what is immediately striking from the account is the simplicity and calmness with which Einstein met his own passing, which he regarded as a natural event. The telling of this chapter is matter of fact, from his collapse at home, to his diagnosis with a hemorrhage, to his reluctant trip to the hospital and refusal of a famous heart surgeon. Dukas writes that he endured the pain from an internal hemorrhage (“the worst pain one can have”) with a smile, occasionally taking morphine. On his final day, during a respite from pain, he read the paper and talked about politics and scientific matters. “You’re really hysterical—I have to pass on sometime, and it doesn’t really matter when.” he tells Dukas, when she rises in the night to check on him. Strange is our situation here upon earth. Each of us comes for a short visit, not knowing why, yet sometimes seeming to divine a purpose….To ponder interminably over the reason for one’s own existence or the meaning of life in general seems to me, from an objective point of view, to be sheer folly. And yet everyone holds certain ideals by which he guides his aspiration and his judgment. The ideals which have always shone before me and filled me with the joy of living are goodness, beauty, and truth. To make a goal of comfort or happiness has never appealed to me; a system of ethics built on this basis would be sufficient only for a herd of cattle. Seattle’s Pike Place Market is a very popular tourist attraction and one of my favorite things to do at the market is to visit and even make a contribution to the Pike Place Bubble Gum Wall. That will all change when the wall is scrubbed clean next week. Officials admit the gum will probably return, but they feel the accumulation is too much and must be removed. 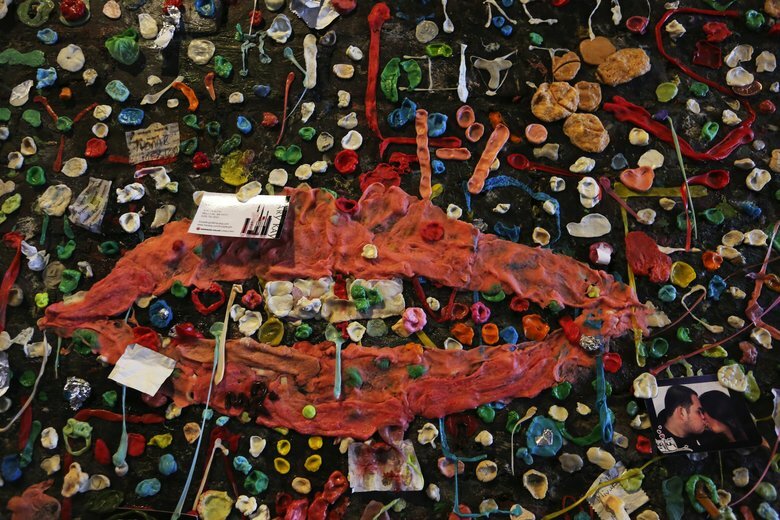 The PDA estimates 1 million pieces of gum are adhered to the walls of Post Alley, and the buildup is in some places 6 inches thick. The cleaning job is expected to cost $4,000. The job will likely take three or four days. Fire the coach! This happens at most other colleges, but not at Wazzu! After an ugly home loss in their season opening game, many so-called loyal Cougs are calling for the firing of Washington State University Head Football Coach Mike Leach. Just starting out in his 4th season at WSU, Leach 12-26, a record that has many fans unhappy and feeling that there should be more wins by now. One has to wonder, who would these people want to replace him with? What has happened to the Coug fans whose pride for the Palouse and WAZZU is far more passionate than we see at any other school in the nation? Saturday, September 5, 2015, in rainy weather, at Martin Stadium, the Washington State Cougars,and FBS school of the PAC-12 Conference lost to Portland State University,an FCS team, of the Big Sky Conference. 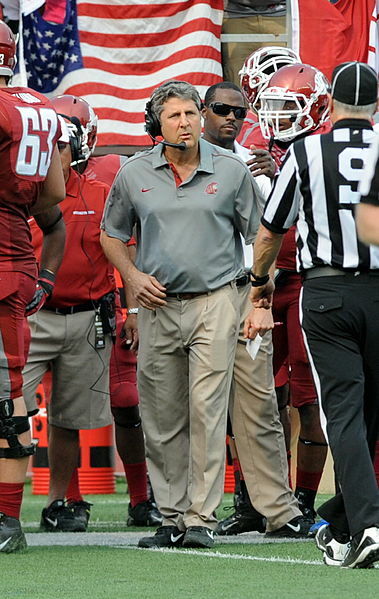 Does this signal the end of Mike Leach’s coaching days at WSU? Not at all. Is this season over after just one game? Not even close. Is losing to an opponent from a smaller conference humiliating? It stings, but there is much more parity in NCAA Div-1 Football than ever before and these types of upsets, when FCS teams are able to topple FBS opponents, seem to be happening much more often. Coach Leach has elevated the program to a place where they can now win any game they play. Obviously they need to actually do more of this and earn more victories, but the overall process is working and they continue to improve. Last September, the Cougs fell to Oregon, 31-38, one score away from defeating the Ducks! The following weekend, WSU beat Utah, and in November the Cougs knocked off Oregon State, and both PAC-12 wins were on the road. They also suffered tragic losses in a 3-9 season, but they were a team that could put together some very good games. In 2013, Washington State won 6 games and went to their first bowl game since 2003 and had some big wins, including a 10-7 victory over then #25 USC in early September, and wins over Cal, Arizona and Utah. In 1973, the NCAA limited college football programs to 105 scholarships each. This number was reduced to 95 scholarships in 1978 and reduced even further to 85 in 1992, where it remains today. Since the mid 1990’s, some traditional “powerhouse” football programs have suffered a significant decline in success while many smaller schools, from smaller conferences, have become very successful . Winning is the result of many factors, but the NCAA rule limiting football programs to 85 scholarships has made an obvious and dramatic impact. The PAC-12 also has tougher entrance requirements, and players who are not able to get into PAC-12 institutions can sometimes find a way into schools from smaller conferences. 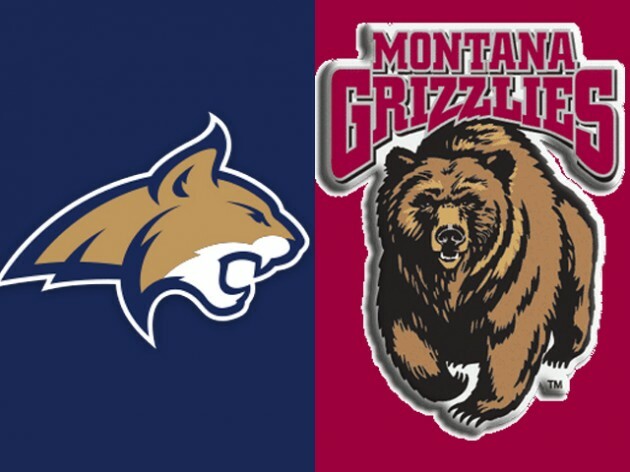 Beyond that, the Big Sky Conference has a rich history of winning and a ton of pride. 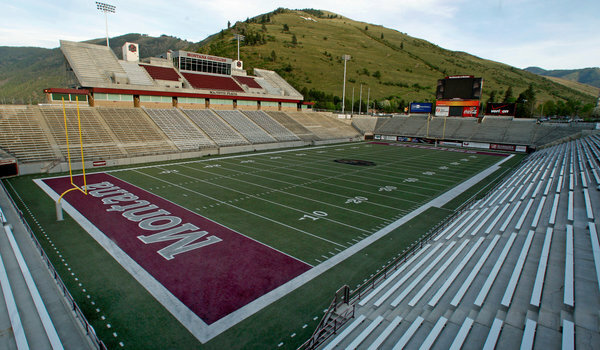 On August 25th, the University of Montana beat defending FCS Champions, North Dakota State, 38-35, showing how tough the Big Sky Conference can be. Portland State finished last season 3-9, which led to the firing of their head coach and allowed offensive coordinator Bruce Barnum a chance to take the reins. To say he had a big win in his first game as head coach would be an understatement. I’m not making excuses for Washington State’s loss to Portland State, but I’m not sure it is accurate to call it the “worst loss in WSU history”, and I don’t think it is productive to or say that Coach Leach should be fired. Washington State hired a great coach in Mike Leach and things are on the upswing, lets not give up on him now. He has raised the overall team grades and the wins are coming, He has a proven track record and if he is not able to win at WSU it could show that the problems complex and the solution is much more complicated than simply replacing the head coach! The Triple Crown of Thoroughbred Racing, sometimes shortened to Triple Crown, consists of three races for three-year-old Thoroughbred horses. Winning all three of these Thoroughbred horse races is considered the greatest accomplishment of a Thoroughbred racehorse. The term originated in mid-19th century England and different nations where thoroughbred racing is popular each have their own Triple Crown series. All three Triple Crown legs are open to three-year-old Thoroughbreds. In all three races, colts and geldings carry 126 pounds and fillies carry 121 lbs. Kentucky Derby- (1 1⁄4-mile) held annually at Churchill Downs, in Louisville, Kentucky, on the first Saturday in May. The race is one and a quarter miles. A new points system was started in 2012 for Kentucky Derby qualification. The Preakness Stakes (1 3⁄16-mile) held on the third Saturday in May each year at Pimlico Race Course in Baltimore, Maryland. It is a Grade I race run over a distance of one and 3/16 miles. The Belmont Stakes- (1 1⁄2-mile) held every June at Belmont Park in Egmont, New York. It is 1.5 miles in length, the longest race the horses will probably ever run. 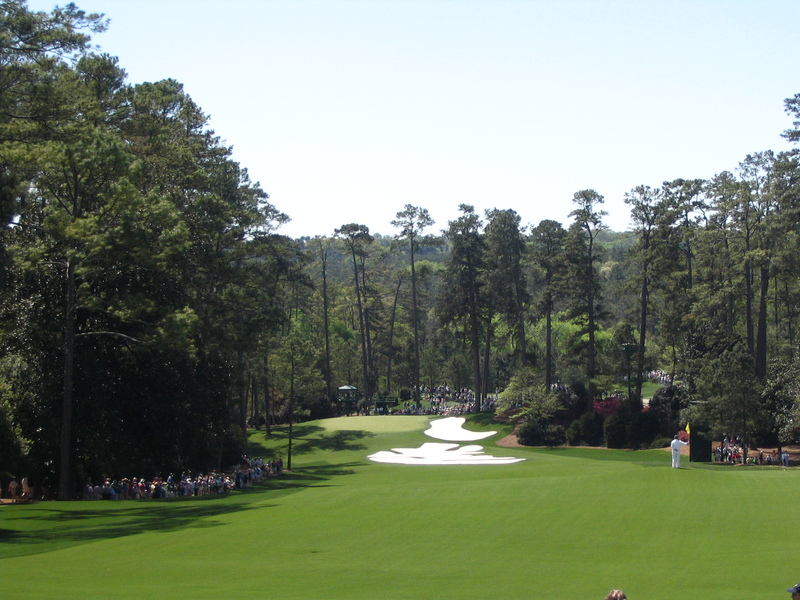 The race is the third and final leg of the US Triple Crown, following exactly five weeks after the Kentucky Derby, and three weeks after the Preakness Stakes. Consequently, it is run on Saturday, but never before June 5, nor after June 11. Triple Crown Race Distances The Kentucky Derby is one and 1/4 miles, followed 2 weeks later by The Preakness, a little shorter at one and 3/16 miles. Three weeks after the Preakness, the Belmont is the longest at one and 1/2 miles. Triple Crown Winners Face Fresh Horses- Owners may decide to run their horse in all three races (if they are good enough) or in just one or possibly two legs of the Triple Crown. Thus, a horse trying to win the Triple Crown will face horses in the Belmont that didn’t run in the Preakness two weeks previously. This makes the Triple Crown even more elusive. California Chrome co-owner Steve Coburn was a bitter man after his horse lost the 2014 Belmont Stakes and the Triple Crown to Tonalist, which did not run in the Kentucky Derby or the Preakness. His horse won the first two legs and Coburn didn’t think it was fair that horses were allowed to run in the Belmont even if they didn’t run in the Derby and Preakness. Coburn, normally mild-mannered, said it was a “coward’s way out” that horses who don’t run the other two Triple Crown races come in fresh and win this. Fastest Kentucky Derby- The mighty Secretariat holds the record for fastest Kentucky Derby, which has held since his 1973 victory in the Run for the Roses. Secretariat Finally Gets Preakness Record- Secretariat did not hold the record in the Preakness, however, until 2012, even though experts at the race agreed his 1973 race was indeed record-setting. The official timer had malfunctioned and the Maryland Racing Commission refused to award the record to Secretariat, It took 39 years, a movie on Secretariat, new technology leading to even more evidence, and a rule change which allowed the use of information beyond official clockings to determine race times to convince the commission to finally declare the fastest Preakness ever was run by the mighty Secretariat. Fastest Belmont- The fastest Belmont Stakes was also clocked by Secretariat and since it is rare for horses to run one and a half miles anymore, this record might not be broken for a long time. In the 1973 Belmont Stakes, Secretariat won the race by an amazing 31 lengths! Sham- In the 1973 Kentucky Derby, Secretariat defeated Sham, who was runner-up in the Derby and Preakness, even though Sham ran one of the 4 fastest Kentucky Derby times recorded. Alydar- In 1978, Alydar finished a close second to Triple Crown winner Affirmed in all three races, a feat not achieved before or repeated since. He has been described as the best horse in the history of Thoroughbred racing never to have won a championship. In all three legs of the Triple Crown, Alydar lost to Affirmed by a combined total of less than two lengths. Read Quiet was Real Close- In 1998, Real Quiet won the Derby and Preakness and was winning the Belmont, but could not hold on as Victory Gallop edged him out by a nose. Visa had offered $5 million to a Triple Crown winner, and owner Mike Pegram was just a nose away from that $5 million! Seattle Slew-In 1977, Seattle Slew became the first horse to win the Triple Crown undefeated. Triple Crown near misses: A total of 22 horses have won the Kentucky Derby and Preakness but did not win the Belmont. Nine of these near misses have been since 1997. Big Brown just missed the Triple Crown when he was pulled up at Belmont in 2008. In 2012, I’ll Have Another won the first two legs of the Triple Crown, but was scratched the day before the Belmont Stakes, due to tendonitis. In 2014, California Chrome finished in a tie for 4th place, extending the longest Triple Crown drought in history, which ended one year later when American Pharoah won the Triple Crown in 2015. There have been 46 horses who won two out of the three Triple Crown races but only 21 who won both the Kentucky Derby and Preakness only to fail in the Belmont Stakes. Should Clarence Thomas Speak in Court? 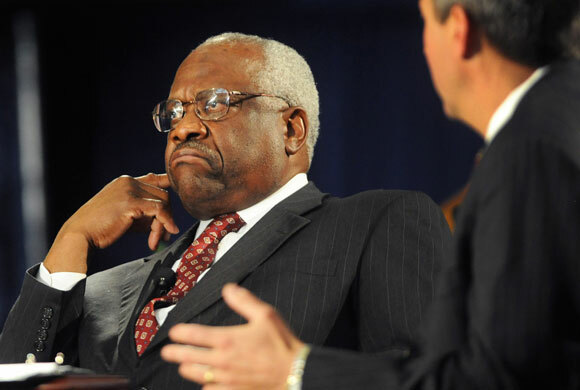 US Supreme Court Justice Clarence Thomas doesn’t speak in court. United States Supreme Court Justice Clarence Thomas was nominated by George H.W. Bush, in 1991 to succeed Thurgood Marshall. He was narolloly confirmed by the US Senate and has since had a strange presence on the court, speaking or asking questions almost never and going almost 7 years without speaking at all. In 2013 he cracked a joke, surprising many that he had spoken at all. Clarence Thomas’s Disgraceful Silence – His behavior on the bench has gone from curious to bizarre to downright embarrassing, for himself and for the institution he represents. Who Cares About Clarence Thomas’s Silence?– His jurisprudential vision is unattractive in many respects, but he’s far from unqualified or incompetent, and his silence at oral arguments is an interesting trivia question but really nothing more than that. Posted on March 28, 2015 March 28, 2015 Categories Interesting, Politics, US PoliticsTags Clarence Thomas, Clarence Thomas silent, History of United States Supreme Court, Supreme Court, US ConstitutionLeave a comment on Should Clarence Thomas Speak in Court? Many Windows 8 and Windows 8.1 users are faced with a decision when the security software that came installed on their computer expires. What choices do users have? Problem- Free security software is included with Windows 8 and 8.1 but is usually free just for a trial period, and when it expires some users have experienced frustration. 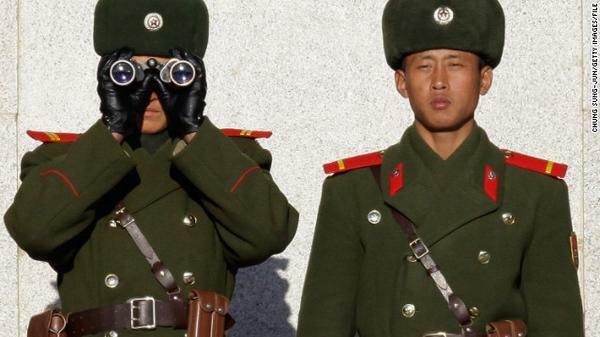 Users can either pay for continued use of the security software or use something else. Solution # 1- Users may decide to pay for the software installed when computer was purchased. This is the security software that was offered for free during the introductory trial period and signing up and paying a subscription fee will allow the user to continue using this product. This may or may not be the best choice, and it is definitely more expensive than the next solution. Since it isn’t good to have more than one security program installed at once, if they do use something else they must first remove the existing security software. Solution # 2- Windows 8 and 8.1 already have free anti-virus, security software installed and available for free in Windows Defender. Windows Defender is included with Windows 8 and Windows 8.1 and helps protect your PC against malware (malicious software). 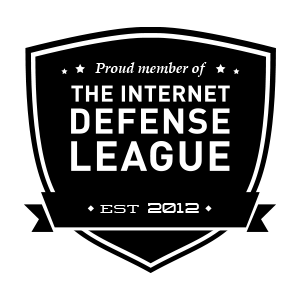 Many new computers come with free subscriptions to antivirus software and other security programs from companies other than Microsoft. When the trial period expires and users do not want to pay to continue using it, they can remove/uninstall it and turn on Windows Defender. How to make Windows Defender your choice security method? Follow these directions to remove the existing, expired security software and turn on Windows Defender, which provides security for free. Jonathan Nimerfroh, a photographer and surfer in Nantucket, took this amazing photo on February 20, 2015 of an ocean wave, just before it freezes solid. He calls it a slurpee wave. The February 2015 deep freeze of the eastern United States broke hundreds, maybe thousands of record daily low temperatures. 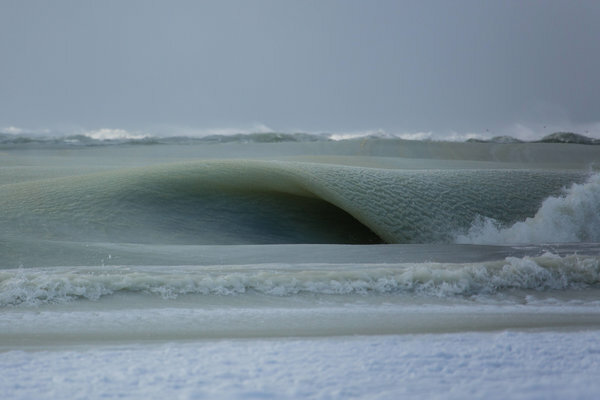 A photographer who is also a surfer in Nantucket, photographed some partially frozen waves on February 20, 2015, just before they froze solid. He calls them slurpee waves. Even experts commented that they had not seen waves like this before. 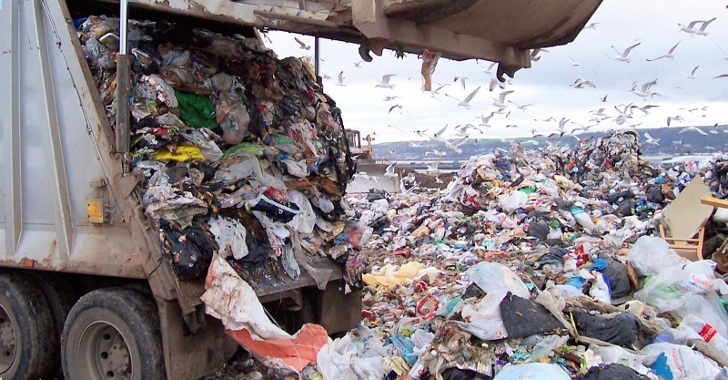 They have an aggressive recycling policy, which goes in an order of importance: prevention, reuse, recycling, recycling alternatives, and as a last resort, disposal in landfill. Macau is exploding. The Asian gambling city dwarfs Las Vegas! Macau’s casino revenues overtook those of Las Vegas back in 2006. 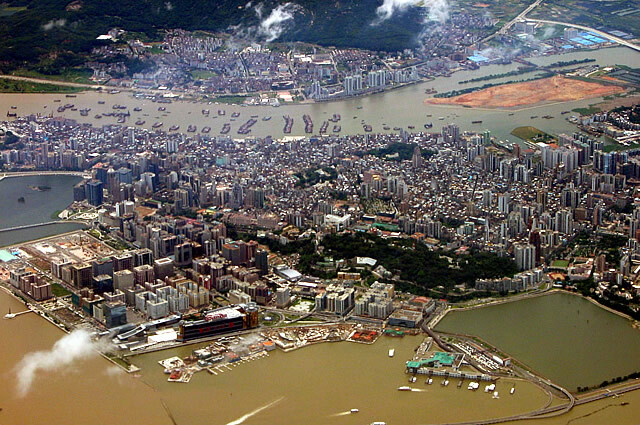 Macau’s economy is growing at a rate of 19 percent per year—faster than mainland China. 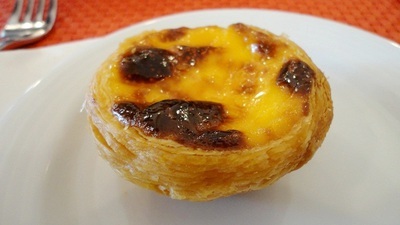 In Macau, most of the revenue comes from gaming tables—not slot machines. The most popular game is baccarat. The 2,200 room Galaxy Macau, opened in 2011 and cost $1.9 Billion. Posted on October 10, 2014 Categories UncategorizedTags baccarat, Macau, Macau bigger than Vegas by a longshot, Macau is huge, Macau vs Las Vegas1 Comment on Macau dwarfs Las Vegas! 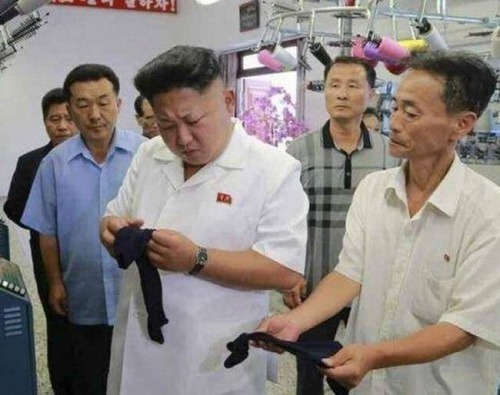 Posted on October 10, 2014 October 10, 2014 Categories UncategorizedTags Kim Jong Un, Kim Jong Un Looking at Things, North Korea, North Korean CoupLeave a comment on Kim Jong Un Missing? This fascinating city is Malé, the capital and the most populous city in the Republic of Maldives. The central part of the city is formed by the island of Malé. Three more islands form part of the city. A commercial harbour is located on Malé Island and serves as the heart of all commercial activities in the country. The central island is heavily urbanized, with the built-up area taking up essentially its entire landmass. Slightly less than one third of the nation’s population lives in the capital city. The population of Malé has increased from 20,000 people in 1987 to 100,000 people in 2006. The whole island group, the Maldives, is named after its capital. The word “Maldives” means “The islands (dives) of Malé”. 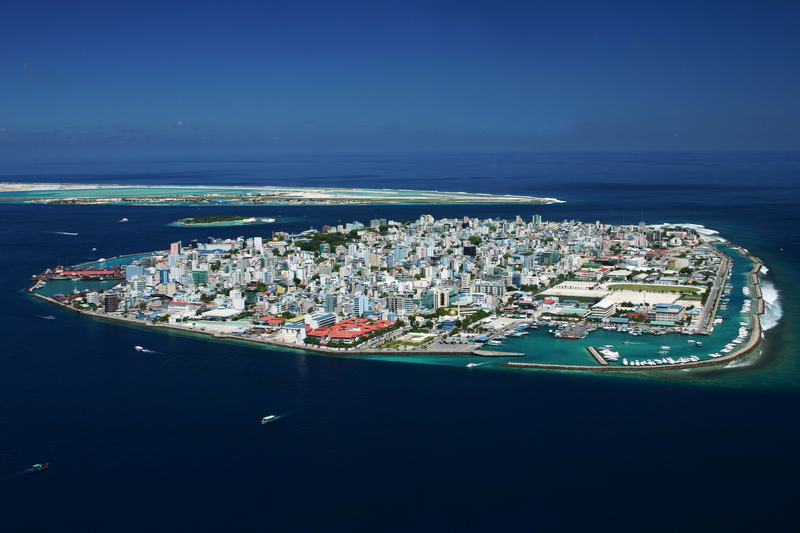 The Island of Malé is the firth most densely populated island in the world. Since there is no surrounding countryside, all infrastructure has to be located in the city itself. Water is provided from desalinated ground water; the water works pumps brackish water from 50-60 m deep wells in the city and desalinates that using reverse osmosis. Electric power is generated in the city using diesel generators. Sewage is pumped unprocessed into the sea. Solid waste is transported to nearby islands, where it is used to fill in lagoons. The airport was built in this way, and currently the Thilafushi lagoon is being filled in. 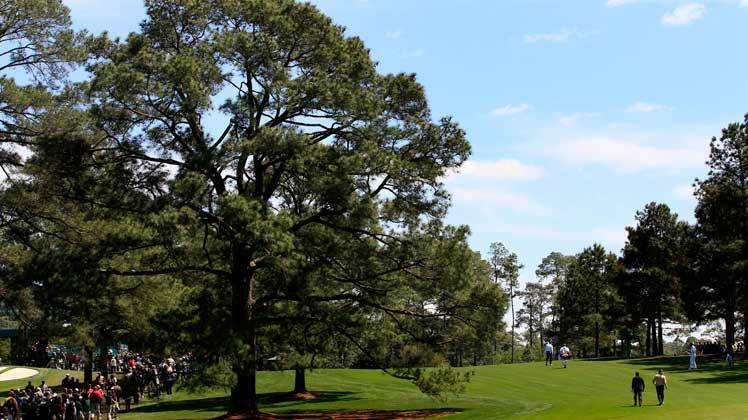 Is this finally the year of the elusive 12th Triple Crown? There are few horses in the history of racing with as much momentum as California Chrome carries into the Belmont Stakes, and the horse’s hopes of winning the Triple Crown are the most realistic in a long time. For a horse that is the son of a $8,000 mare and was studded for $2,500, few expected him to be a serious contender. As the distant relative of Seattle Slew (1977 Triple Crown winner), racing in big events is in his blood. “I think it’s important to remember that it’s livestock being bred here, and you can only be so precise when you’re trying to breed. Even when we’re talking about human beings, full brothers and sisters can be vastly different, not only in temperament but in looks. If California Chrome can pull off the spectacular and take first place at the Belmont Stakes, the victory would prove to be even more amazing considering his underwhelming pedigree. Secretariat and Seattle Slew—Triple Crown winners in the 1970s—are buried deep within his bloodlines and could be an ancestral explanation for this horse’s surprising display of strength and speed in 2014. Preakness- Two weeks after Derby- Enough rest? Derby Champ to win Preakness? 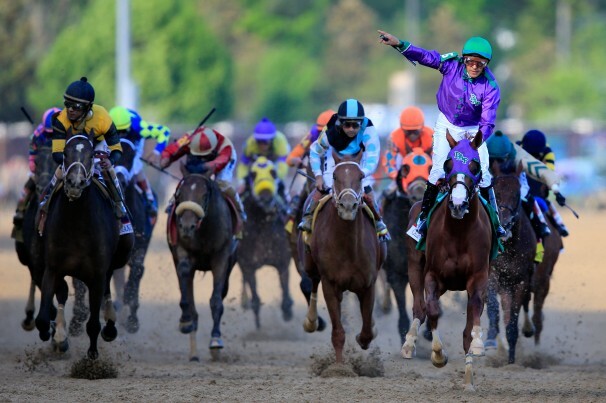 California Chrome wins the 140th running of the Kentucky Derby. Recent history shows he has a good chance of winning again in the Preakness! It sometimes doesn’t seem fair when the winner of the Kentucky Derby is defeated in Baltimore two weeks later by a horse that didn’t even race in the Derby. However, often times there is a repeat, and the first two legs of the Triple Crown are captured yet again, only to break the hearts of millions, 3 weeks later in the Belmont. The Kentucky Derby is just tough to predict and even good handicapers may rarely cash in winning tickets. A good bet in the Preakness Stakes is to stay on the winner in Kentucky. An even better bet 3 weeks later in the Belmont, is to get off that horse, the Belmont is a heartbreaker, plain and simple. The Belmont is the impossible leg of the Triple Crown, hope for it, but bet against it. Just three horses from the Kentucky Derby field will start in the Preakness this Saturday, continuing a trend in recent years, with many claiming the two-week period between the Kentucky Derby and Preakness Stakes isn’t enough rest for the horses. The belief that horses need lengthy rest between races has become part of the orthodoxy of the sport. It’s a radical change from the past. In the 1950s and ’60s, good horses often raced with a week’s rest (or less). Now 3-year-olds get their final prep race three, four or five weeks before the Derby, and so the 14-day layoff before the Preakness looks like a daunting challenge. Why do modern-day thoroughbreds need such gentle handling? The change in training philosophy may have occurred because horses are less robust than their forebears. It may have to do with the almost-universal use of Lasix; the diuretic causes horses to lose significant weight, and they need time to recover from a race. Many leading trainers are believers in the Ragozin Sheets and the Thoro-graph speed figures, both of which espouse the philosophy that horses will “bounce” — i.e., run an inferior race — if they run back too quickly from a peak effort. Five-time Preakness-winning trainer Bob Baffert believes that the Derby’s now-common fields of 20 horses puts so much stress on runners that they need more time to recover than the Preakness allows. Preakness Stakes updates:Because the trainer of a Derby winner will almost always take a shot at the Triple Crown, the Preakness is one of the few races in which top horses will run with two weeks’ rest. The results at Pimlico contradict the belief that this short layoff is too difficult for the horses. Kentucky Derby winners regularly come back to deliver smashing performances in Baltimore: Funny Cide (2003) won by nearly 10 lengths, Smarty Jones (2004) won by 11.5 Big Brown (2008) by 5.5. In 2012 I’ll Have Another and Bodemeister finished 1-2 in the Derby, then ran much faster in the Preakness and finished 1-2 again. None of them bounced. When Derby winners have flopped in Baltimore — such as Orb in 2013 and Super Saver in 2010 — the explanation may be that they benefited from perfect trips at Churchill and didn’t get such an easy setup at Pimlico. Bet on the Kentucky Derby Champion to win the Preakness The paragraph above explains why many bet with a strategy of choosing the Kentucky Derby Champion to win again in the Preakness, which is very similar at in length, the Preakness being just 1/16 of a mile shorter than the Derby. However, if the horse does win both the Kentucky Derby and the Preakness, staying on that horse as it tries for a triple crown is wishful thinking, as it just hasn’t been done since 1978! Posted on May 12, 2014 May 12, 2014 Categories Americana, HorseracingTags Belmont is a heartbreaker, Bet on the Kentucky Derby Champion to win the Preakness, betting strategy in the Preakness, Derby Horse to win Preakness, How to wager on the Triple Crown, Is two weeks enough rest for Preakness horses?, Kentucky Derby, No Triple Crown since 1978, Preakness StakesLeave a comment on Preakness- Two weeks after Derby- Enough rest? Derby Champ to win Preakness? Secretariat won the did not hold the record in the Preakness until 2012, even though experts at the race agreed his 1973 race was indeed record-setting. A clock malfunction gave Secretariat’s victory an incorrect time and the Maryland Racing Commission refused to reverse the official time and award the record to Secretariat. It took 39 years, a movie, new technology leading to even more evidence, and a rule change which allowed the use of information beyond official clockings to determine race times to convince the commission to finally declare the fastest Preakness ever was run by the mighty Secretariat. Posted on May 8, 2014 May 9, 2014 Categories HorseracingTags Broken clock Secretariat Preakness, Fastest Preakness, Preakness clock malfunction, Preakness record Secretariat, Preakness Stakes record, Secretariat awarded Preakness Record, Secretariat fastest preaknessLeave a comment on Secretariat Gets Preakness Record! 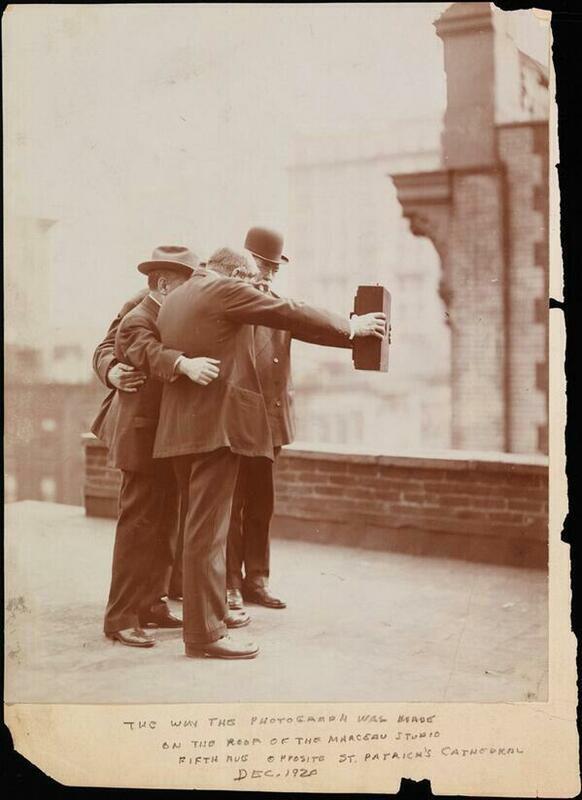 Users can browse through a variety of fascinating photographs, with new ones added daily. 2014 Kentucky Derby payouts and order of finish! Posted on May 6, 2014 May 6, 2014 Categories HorseracingTags California Chrome, Commanding Curve, Danza, Kentucky Derby 2014, Kentucky Derby 2014 exacta, Kentucky Derby 2014 full results, Kentucky Derby 2014 order of finish, Kentucky Derby 2014 payout amounts, Kentucky Derby 2014 payouts, Kentucky Derby 2014 superfecta, Kentucky Derby 2014 trifecta, Kentucky Derby 2014 wagering results, wagers Kentucky Derby 2014Leave a comment on 2014 Kentucky Derby payouts and order of finish! Posted on March 8, 2014 Categories Americana, Arts, MusicTags bottle instrument, chops, In the Summertime, mungo Jerry, mungo jerry blowing in bottle, Mungo Jerry In the SummertimeLeave a comment on Blowing in the Bottle, and Chops! Click on graphic above for acutal tool. You can also use link included below this image. Use this tool to make easy conversions. Link: Conversion Tool You can change the cateogories, then select variables for the units of measurement for each category. China Successfully Launches Rover Mission! 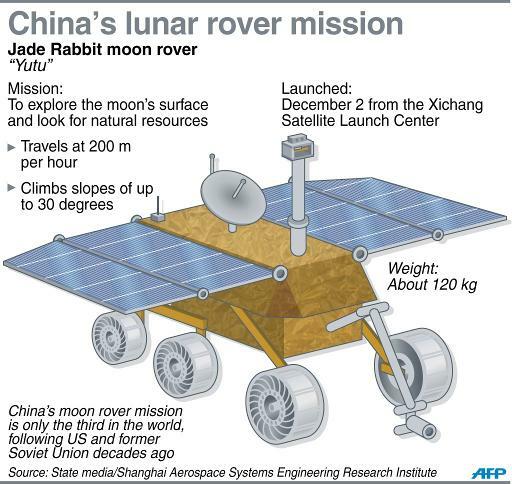 China has launched a lunar rover, only the third country to do so after the United States and the Soviet Union. The rover, named Jade Rabbit (called Yutu in Chinese) is solar-powered, has 6 wheels and four cameras. It also has mechanical arms that can dig soil samples up to 30 meters deep. It can travel up to 200 meters per hour and weighs 120 kg. Posted on December 16, 2013 Categories Current Events, education, Interesting, strange, fascinating, Politics, Science, Space, Technology, Transportation, World AffairsTags Chinese Lunar mission, Chinese soar-powered rover, Chinese space program, Chinese Successfully Launches Rover Mission, solar-powered mission, Yatu, Yatu sends back selfieLeave a comment on China Successfully Launches Rover Mission! Humans to travel to Mars? First humans to depart in 2024. Can I apply to become an astronaut?-It is currently not possible to apply. The closing date of this first online astronaut application round was 31 August 2013. Mars One will start new selection programs regularly, so you will have the possibility to apply for subsequent astronaut selection programs. Age requirements , physical and medical requirements, country of origin and language (English will be official language) area all part of the selection process. Posted on December 16, 2013 December 16, 2013 Categories Current Events, education, Interesting, strange, fascinating, Science, Space, Technology, Transportation, TravelTags astronaut requirements for mars, human colonization of Mars, Human space travel, Mars applicants, Mars One, Mars one applicants, Mars One updates, one-way space travel, one-way trp, sign up for the Mars One Newsletter, travel to MarsLeave a comment on Humans to travel to Mars? First humans to depart in 2024. 200,000 would like to live on Mars! If you have ambitions of being one of the first people on Mars, listen up: A Dutch company says it is moving along with its plan to send four lucky Earthlings to colonize the Red Planet. The catch: They won’t ever come back. Enthusiasm has been growing since the project’s first big announcement in April. More than 200,000 people have signed up to be prospective astronauts, Mars One CEO Bas Lansdorp said in Washington on Tuesday. Apparently, they’re OK with living out the rest of their lives on Mars. Having a one-way trip greatly reduces costs, the company has said. Posted on December 16, 2013 Categories Current Events, Science, Technology, TravelTags 000 applicants, 000 apply Mars trip, 200, one-way space travel, travel to MarsLeave a comment on 200,000 would like to live on Mars! The Fifth Down- Why to not punt! Punting. Giving the ball to the opponent. Giving away scoring opportunities. Every single serious study of 4th-down decisions has found that, in most situations, teams would be better off by going for the conversion attempt rather than kicking. Posted on November 30, 2013 Categories UncategorizedTags no punt, The fifth down, using all 4 downs, Using all four downs, why to not puntLeave a comment on The Fifth Down- Why to not punt! Some gutsy coaches will take advantage of this strange mindset and reap the rewards in the form of first downs, scoring and ultimately in wins. It is just a matter of time. Who would have thought the game would turn into such a passing frenzy with points adding up so fast that even the powerhouse programs who dominated college football for decades had to abandon their consistent but reliable ground game in order to keep up? We may see a similar morph and coaches will reluctantly abandon their old ways of giving the ball back to the opponent one down too early. Maybe I will put together a resume and just apply as the “punting coach” or at least have a consulting firm persuading coaches to use all four downs they are allowed under the rules of football. 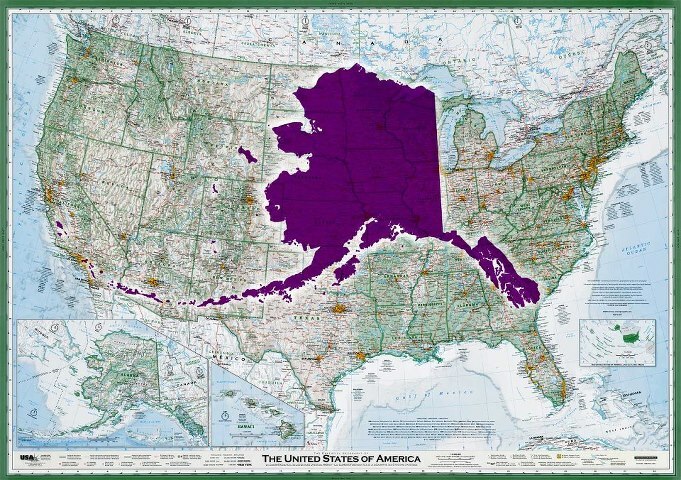 Alaska is Huge! Also a link to the best map of USA ever made! This map and info on Alaska is from a FaceBook post put out by the company that makes these maps, Imus Geographics. (I have nothing to do with the company, I’m just sharing a great map/company) My father-in-law bought me a copy of The Essential Geography of the USA,, made by company founder and owner, cartographer Dave Imus. It is the best map I have ever seen! I absolutely love geography and this map is at the very top of the list! Read all about the map and even order one of your own at the website below. Posted on November 1, 2013 Categories Americana, education, Geography, Interesting, strange, fascinatingTags Alaska, Alaska is huge, Alaska Purchase, Dave Imus, Essential Geography, Geography, Geography Education, Louisiana, Maps of the states, regions in the USA, Senate ratifies purchase of Alaska by margin of one vote, Size of Alaska, Social Sciences, states and regions in the USA, Texas, Texas would be our 3rd largest state, The Essential Geography of the United States of America, United States, USA, William H. Seward1 Comment on Alaska is Huge! Also a link to the best map of USA ever made! Get ready for an amazing IMAX film! This is a widget from http://www.advancednflstats.com/ that shows the win probability of any NFL team users select.